LG is holding a press event later today and for those that can’t wait to see the phone, leaked images of the Android(s goog) handset have cropped up online. Published on the @evleaks Twitter feed — a source that has time and again proved to be reliable — the large handset looks to be nearly all screen from the front, with minimal wasted space. The front design actually reminds me of a larger Moto X with very little bezel around the display. Also interesting is what appears to be a sliding cover for the camera lens; it’s rare to see a smartphone with any protection for the camera. 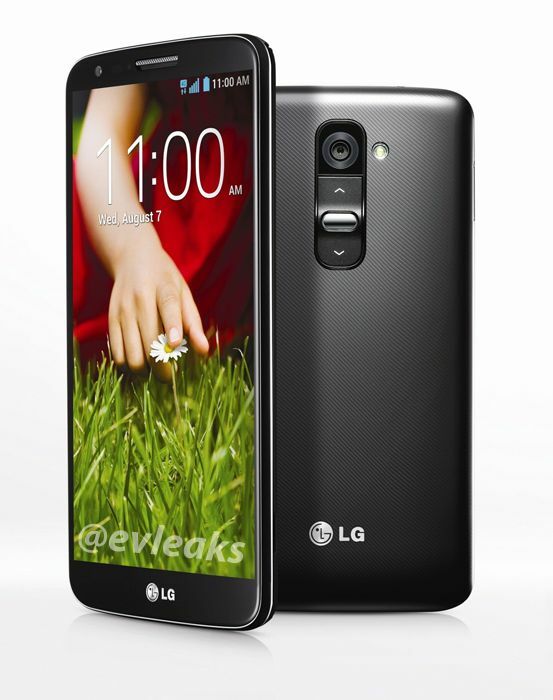 We’ll find out later on Wednesday what’s inside the LG G2 — we’ll be at the launch event — but LG has already spilled the beans on some aspects. The handset will be among the first to use a Snapdragon 800 chip from Qualcomm(s qcom), the company’s fastest smartphone silicon yet. That will allow for advanced video capture up to 4,000 x 2,000 resolution, for example. LG will also have a case accessory with a cutout window to show key information from the phone’s display when it’s actually asleep, much like Samsung’s S-View case. As far as that large display? It’s surely at least 5-inches diagonally in my opinion, perhaps even as large as 5.5-inches. 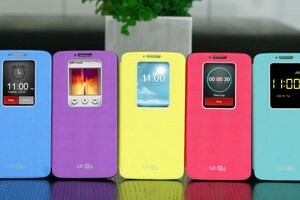 Ossom, now LG is going to give competition in the market.. I bet it is not a sliding cover for the camera lens, but another type input, move up and down menu items.